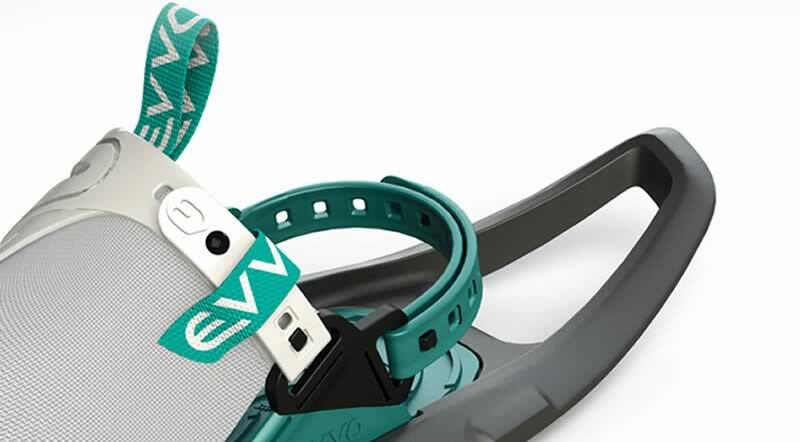 EVVO Snowshoes, patented technology for all snow lovers. 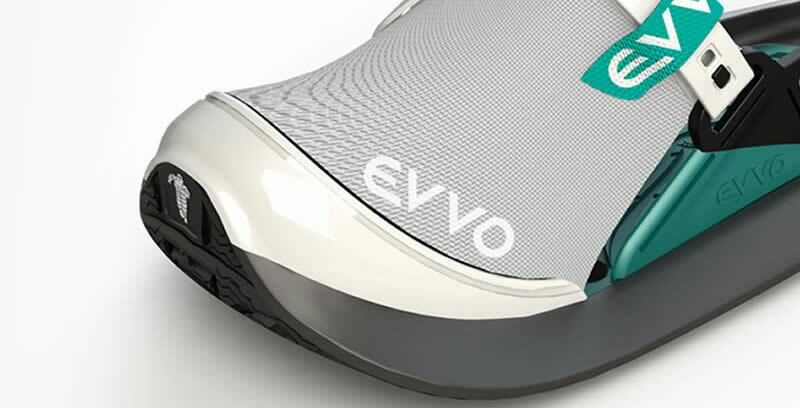 As an all-new alternative to classic snowshoe, EVVO Snowshoe feature a concentration of technologies to help you walk naturally and smoothly on all types of snowy terrain. They are lightweight, adjustable and ergonomic, the ideal footwear for your mountain excursions. The unique sole harnesses Michelin technology so you never have to hold back when exploring snowy terrain. 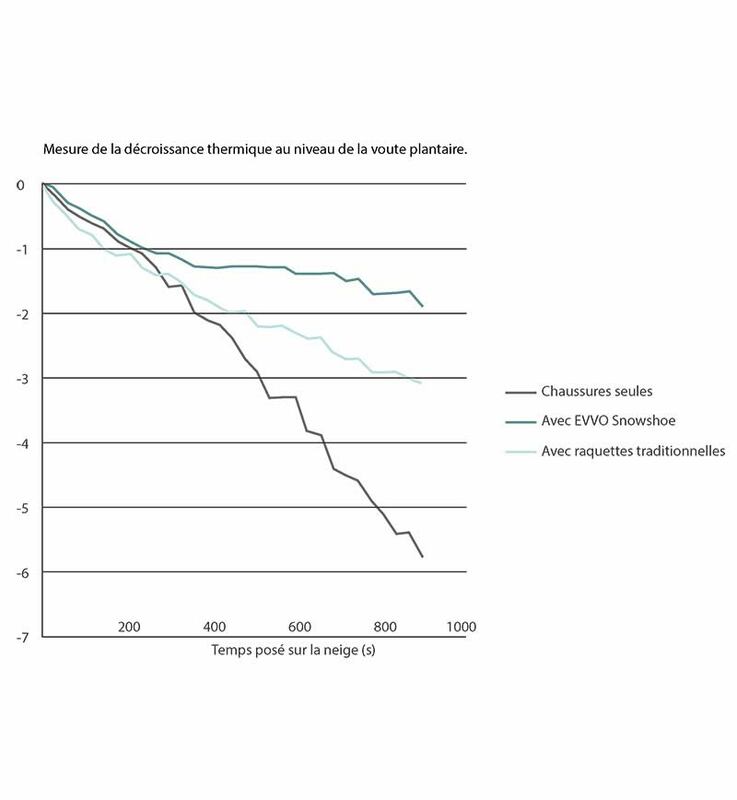 With over a century of experience developing tyres for all types of surfaces, including icy and snowy roads, Michelin is an essential partner in the development of EVVO Snowshoe. 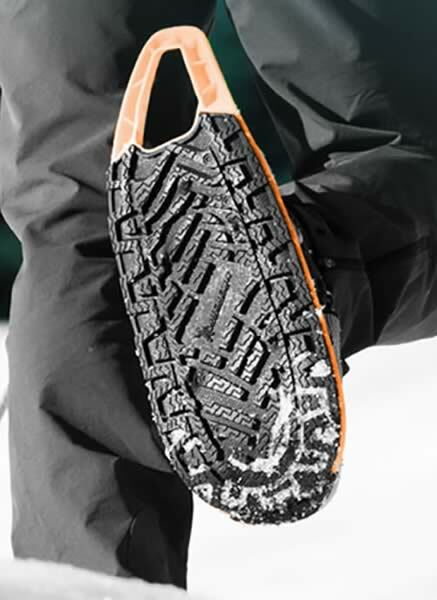 EVVO Snowshoe are one of many outdoor products developed using Michelin technology. Ugigrip cleats for an even better grip. To take on extreme conditions, EVVO offers an Icespike Kit (optional) developed with Ugigrip, a French manufacturer specialising in non-slip cleats for winter tyres. A patented, podiatrist-certified ergonomic design to help you walk smoothly and naturally on snowy terrain! There is no protruding tip, meaning that all users can keep to their own walking style, whatever the terrain they are covering. 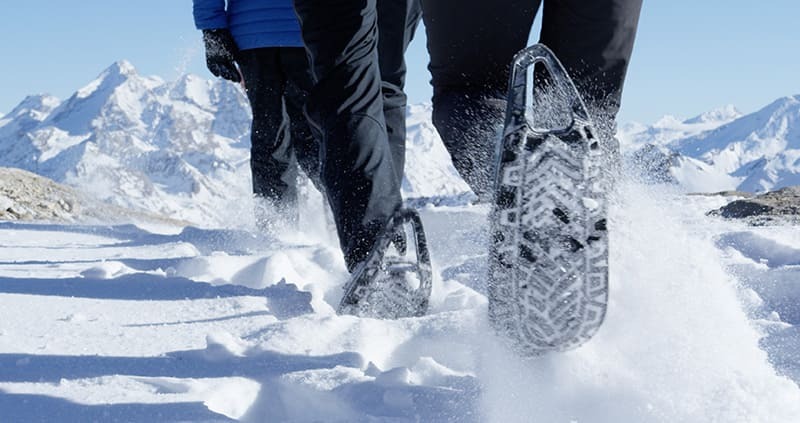 The curved form of EVVO Snowshoes was designed to fit all foot shapes. 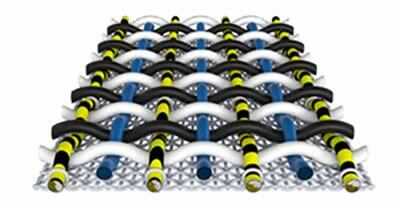 The supple, lightweight materials afford great flexibility. Matryx technology offers enhanced comfort. The strap features progressive flexibility, ensuring a smooth, natural gait. With comfortable shoes, you can enjoy your activity to the full,completely carefree! You will love the silence, broken only by the snow crunching underfoot. Walking on all sorts of snow. Whether the snow is windblown, transformed, packed hard or even frozen over, EVVO Snowshoes provide both grip and flexibility for pure rambling pleasure. Whether you’re on a trail or following fresh snow tracks, their narrow shape helps you walk without tiring. If you leave the beaten track or get into a tricky situation, the patented, no-tip shape of EVVO Snowshoes helps you walk naturally, saving your energy on powdery snow. No need to lift your feet any higher: EVVO Snowshoes move with your legs and curl around obstacles. You’re well-prepared for the powder! An intuitive design to simplify your mountain excursions! 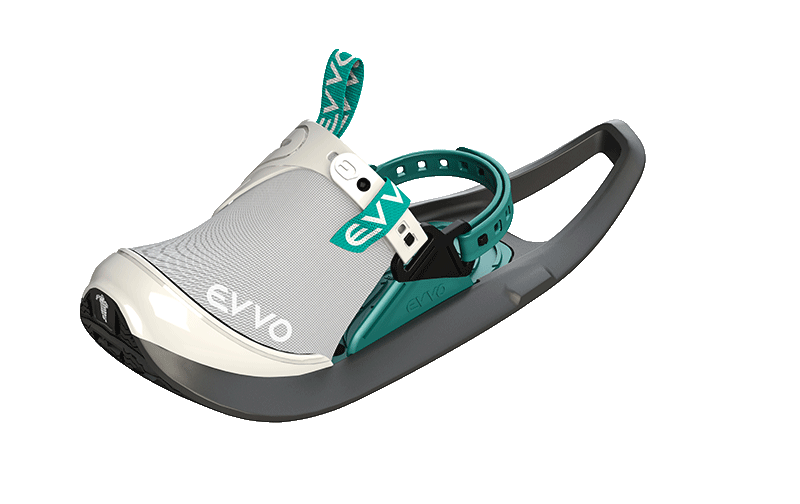 Designed using supple materials, EVVO Snowshoes feature a binding adjustment system that ensures a perfect fit on your foot. Carrying, handling, and donning EVVO Snowshoes is mere child’s play. You’re ready before you can say “snow”!